The above quote is from A.S. Dulat who has served as Chief of India's Research & Analysis Wing (RAW) and as Special Director of India's Intelligence Bureau. He was speaking with Indian Journalist Karan Thapar of India Today on a variety of subjects including Kashmir and Musharraf-Vajpayee Agra summit. Another myth the Indian governments promote is that Dawood Ibrahim is hiding in Pakistan. This myth has been demolished by India's own Minister of State (Home) Haribhai Parthibhai Chaudhary who told the Indian parliament that the former Mumbai underworld don is not on Indian intelligence's radar, and it would only be possible to bring him back to the country once his whereabouts were discovered. According to a leaked US diplomatic cable from India, Dawood Ibrahim was the undisputed kingpin of the Mumbai underworld before he fled India in the 1980s. Indian security agencies believe he was involved in the 1993 Mumbai bombings that killed several hundred people. Vicky Malhotra is the right hand man of gangster Chhota Rajan, a fierce rival of Ibrahim. Rajan was once Ibrahim's lieutenant, but broke up with Ibrahim after the 1993 Mumbai bombings. The two have reportedly been fierce rivals since. Communal tensions between Ibrahim, a Muslim, and Rajan, a Hindu, were also believed to have contributed to the breakup. Rajan reportedly objected to the bomb attacks, which were part of a chain of violent retributions surrounding right-wing Hindus' destruction of the Babri Masjid mosque in 1992. Rajan was thought to be living somewhere in Southeast Asia, but recent press reports claim that he is now hiding in Europe. He and Malhotra are believed to have been responsible for the targeted killing of a number of Ibrahim's associates. While the Indians accuse Pakistan ISI of working with Mumbai underworld, it's been revealed that it is the Indian Intelligence that has been using Mumbai criminal gangs as their assets. A 2005 US diplomatic cable leaked by Wikileaks shows that Ajit Kumar Doval, India's own ex-spook and current National Security Advisor to Prime Minister Narendra Modi, was arrested by Mumbai Police in New Delhi while traveling in the same car with Mumbai underworld figure Vicky Malhotra . Ajit Doval was quickly released without any explanation. "Washington and London both agreed with India's legal claim and removed the longstanding "official protection" accorded for his (Dawood Ibrahim's) past services to Western intelligence agencies. U.S. diplomats, however, could never allow Dawood's return. He simply knows too much about America's darker secrets in South Asia and the Gulf, disclosure of which could scuttle U.S.-India relations. Dawood was whisked away in late June to a safe house in Quetta, near the tribal area of Waziristan, and then he disappeared, probably back to the Middle East." Unfortunately, there is very little hope for improved ties between India and Pakistan as long as Hindu Nationalist hawks are in charge in New Delhi and people like Ajit Kumar Doval are running India's Pakistan policy. Evidence of Indian funding of Baloch insurgents, TTP militants and Karachi's militant political party MQM is mounting every day. The pattern seems to fit the Indian strategy of proxy war against Pakistan that has been articulated by Prime Minister Narendra Modi's National Security Advisor Ajit Doval as follows: "How do we tackle Pakistan? .. You make it difficult for them (Pakistan) to manage their internal security... Pakistan's vulnerability is many many times higher than India's....Taliban have beheaded 23 of their (Pakistani) soldiers...funding can be countered by giving more funds...more than one-and-a-half times the funding they have available and they'll be yours..the Taliban are mercenaries...go for more of a covert thing"
An American South Asia watcher Stephen Cohen says: "The alphabet agencies—ISI, RAW, and so forth—are often the chosen instrument of state policy when there is a conventional (and now a nuclear) balance of power, and the diplomatic route seems barren." Clearly, "the diplomatic route seems barren" for now between the two South Asian neighbors. Did you even watch the entire interview? He said Advani asked for Dawood before the Agra summit, in a meeting in Delhi. Thereafter, Dulat says, Advani softened his stance and had great relations with the Pakistani side. He attributed the failure of the summit to tactical errors by the Pakistani negotiators in Agra. I don't know whether he's right or wrong, but if you're going to start a thread based on Dulat's opinion, you might as well quote him correctly. Indian Eye: "Did you even watch the entire interview? He said Advani asked for Dawood before the Agra summit, in a meeting in Delhi. Thereafter, Dulat says, Advani softened his stance and had great relations with the Pakistani side. He attributed the failure of the summit to tactical errors by the Pakistani negotiators in Agra. I don't know whether he's right or wrong, but if you're going to start a thread based on Dulat's opinion, you might as well quote him correctly." You are being disingenuous by talking about "tactical errors" by Pakistanis. What was the "tactical error"? It was Pakistanis "putting all their eggs in one basket, the Vajpayee basket? How's that an error? Wasn't he in charge? Weren't Jaswant Singh and Brajesh Mishra both saying to Pakistanis that the deal is done and ready to sign? And didn't Brijesh Mishra blame the summit failure on LK Advani? Please be honest!!! Former Research and Analysis Wing (RAW) chief AS Dulat's revelations on a raft of issues ahead of the launch of his book have kicked up a political storm in the country. Indian intelligence agencies regularly pay terrorists, Hurriyat leaders and mainstream Jammu and Kashmir political parties including the National Conference (NC) and PDP, Dulat revealed in an exclusive interview to Hindustan Times on Friday. "Nobody is immune to bribes, not the militants, not politicians and not the separatists. Over the years, they have all been paid by intelligence agencies. We paid money to demonstrate that what the ISI can do, we can do better, except kill people," said Dulat, who was posted in J&K as an Intelligence Bureau officer in 1988. He went on to head the Research and Analysis Wing, India's external intelligence agency, and then became adviser to prime minister Vajpayee, serving in government till 2004. "As militancy grew in the 1990s, so did the payments. They grew from the hundreds to lakhs of rupees," revealed Dulat. He said "there were some honourable exceptions in the Hurriyat who did not accept the money", but refused to name names. Dulat clarified that he could only confirm payments till 2004. Speaking to Hindustan Times ahead of the launch of his book, Kashmir: The Vajpayee Years, Dulat said the UPA government that came into power in 2004 made him "the villain of the NDA's Kashmir policy'', saying "I had bribed my way through Kashmir, but the fact is that when I was posted to Srinagar in 1988, the first thing I got to know was who was paying whom and how much. It is not a big deal. Intelligence agencies all over the world pay slush money". Both the NC and PDP denied the charges. "Our political party has been struggling and striving with the people of Kashmir and we have always functioned in a very transparent way. These allegations are unsubstantiated and we totally deny them," said the NC's Junaid Azim Mattoo. 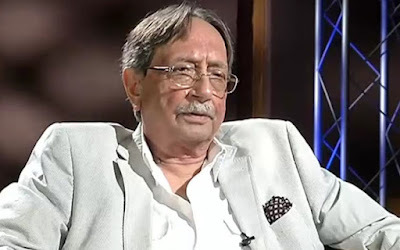 Former RAW chief AS Dulat has on Saturday said that Muttahida Qaumi Movement (MQM) chief Altaf Hussain is a ‘guest’ of British intelligence agency MI-6 in London. However, he refused to answer a question about Indian funding of MQM, reported Dunya News. Talking to a news channel in India, AS Dulat, refusing to answer a question whether India funds MQM or not, claimed that Altaf Hussain is a ‘guest of MI-6’. He said that Altaf Hussain is hosted by MI-6 and therefore, MI-6 should be questioned about MQM s funding as well. AS Dulat’s statement has come amid rumors that two of MQM leaders have confessed MQM’s funding from India. With Munna Jhingada’s sentence in Thailand coming to an end this week, India and Pakistan have renewed their diplomatic efforts seeking custody of the Chhota Shakeel henchman. Jhingada had carried out the famous attack on Chhota Rajan on December 13, 2000 in Bangkok — at Shakeel’s behest — but the latter escaped narrowly while his aide Rohit Verma was killed in the gunfire. Pakistan has been asserting its claim on Jhingada by pointing out that he had a Pakistani citizenship during the attack — a “technically valid” reasoning, according to crime branch officers. Sources in the crime branch have claimed that a team of policemen will leave for Bangkok as soon as part of larger government effort to win the tug-of-war with Pakistan. “We had already submitted DNA and documentary evidence to Thailand to prove his Indian origin while his extradition request has been pending with the Thai authorities. It will get cleared soon,” said DCP (crime) Dhananjay Kulkarni. The DNA evidence was obtained after conducting blood ests. Pakistan, on its part, has said that Jhingada held a Pakistani passport by the name of Mohammed Saleem, which makes him their citizen. The Indian claim was made in 2012 when the police learnt about a Pakistan police team reaching Thailand to initiate proceedings to take Jhingada’s custody when Mumbai cops hurriedly flew down there and filed the documentation before the Pakistani officials. “Pakistan is dreading India interrogating Jhingada, since he will reveal the entire functioning of the Dawood-Shakeel gang that operates with Pakistani patronage,” a crime branch officer said. On the day of the famous shooting, Jhingada — whose real name is Mudassar Hussain Sayyad — managed to locate Rajan in Bangkok and contacted Shakeel, who gave him the green signal to carry out the killing. Jhingada, accompanied by Yusuf Godrawala and Gurpreet Singh Bhullar, managed to breach Rajan’s security in the Bangkok hotel where he was having a private party and opened fire. Rajan managed to escape unhurt. In 2009, India managed to get custody of Bhullar while Pakistan took Godrawala with them. A senior lawyer of India's Supreme Court Ram Jethmalani has claimed to have met Dawood Ibrahim in London, where the fugitive underworld don offered to surrender himself and his close associate Chota Shakeel before Indian authorities. In an interview to the ANI news agency published on Zee News channel's website, the senior lawyer said the proposal was rejected by the Sharad Pawar-led Maharashtra state government. He added that it was not the chief minister's decision alone, but the United Progressive Alliance (UPA) government was also a part of it. Giving details of his meeting with Dawood Ibrahim, Jethmalani said that the underworld don had denied involvement in the 1993 Mumbai serial blasts and wanted assurance from Indian authorities that upon his return he will not be subjected to third-degree torture by the police while in detention. The former law minister also said that the underworld don was ready to return to India and be placed under house arrest during the trial, as he feared he would be assassinated in jail. In a Press Trust on Indian interview published on the NDTV website, Saharad Pawar, who was the chief minister of Maharashtra state in 1990s when the offer was made, said that, "It is true that Ram Jethmalani had given a proposal about Dawood's willingness to return. But there was a condition that Dawood should not be kept in jail. Rather he should be allowed to remain in a house. This was not acceptable. We said he had to face the law." India has routinely accused Pakistan of providing shelter to one of India’s most wanted fugitive. Pakistan denies Indian charges that it shelters Dawood Ibrahim — one of India's most wanted men — ever since the don became a fugitive for his alleged role in the serial bomb blasts that hit Mumbai in 1993 in apparent retaliation for the demolition of the Babri Masjid in December 1992. Over 250 people were killed in the attacks. Ibrahim stands convicted in absentia in India for the blasts, together with several Mumbai accomplices. In a reply submitted to the Indian Parliament recently in May, India's Home Ministry had said that the government had no clue about the whereabouts of underworld don Dawood Ibrahim. Pakistan’s High Commissioner in India Abdul Basit had termed the admission as vindication of Pakistan's stance over the issue. A few days later Indian Home Minister Rajnath Singh had said in the Lok Sabha that India had evidence of Dawood Ibrahim’s presence in Pakistan, and would bring him back “no matter what”. The death of Praful Bidwai, leading Indian left wing journalist and proponent of India-Pakistan dialog, of a cardiac arrest in the Netherlands was widely ( and gleefully?) reported in the Indian media as being caused by Praful's choking on a piece of meat (beef???!!!) at dinner. Former Pakistan foreign minister Khurshid Mahmud Kasuri on Tuesday tried to put the blame of failed talks between India and Pakistan in Agra in 2001 on the then home minister Lal Krishna Advani. According to Kasuri, Pakistan had provided India with addresses of terrorist camps operating in Kashmir as part of its deal to bring peace to the Valley. However, Advani's demand to hand over terrorist Dawood Ibrahim derailed the talks. "It was Advani's demand that Pakistan hand over fugitive terrorist Dawood Ibrahim to India that destroyed the Agra peace talks," Mumbai Mirror quoted Kasuri as saying. Kasuri, who served as Pakistan's foreign minister during General Pervez Musharraf's regime from 2002-2007, said how can you hand over somebody (Dawood) who the Pakistani authorities claim is not in the country.